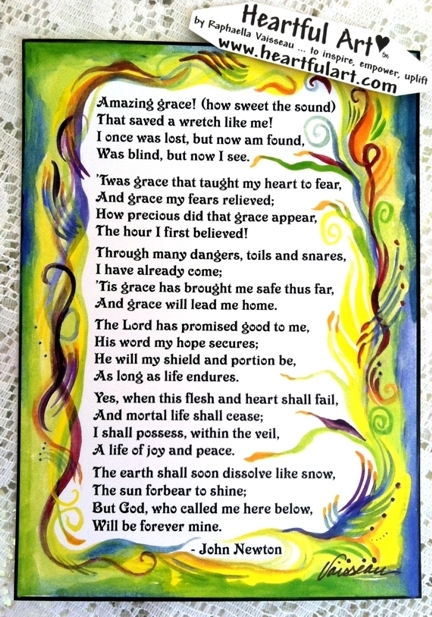 5x7 poster of Amazing Grace, with art by Raphaella Vaisseau. Have faith. Keep moving forward. Trust.